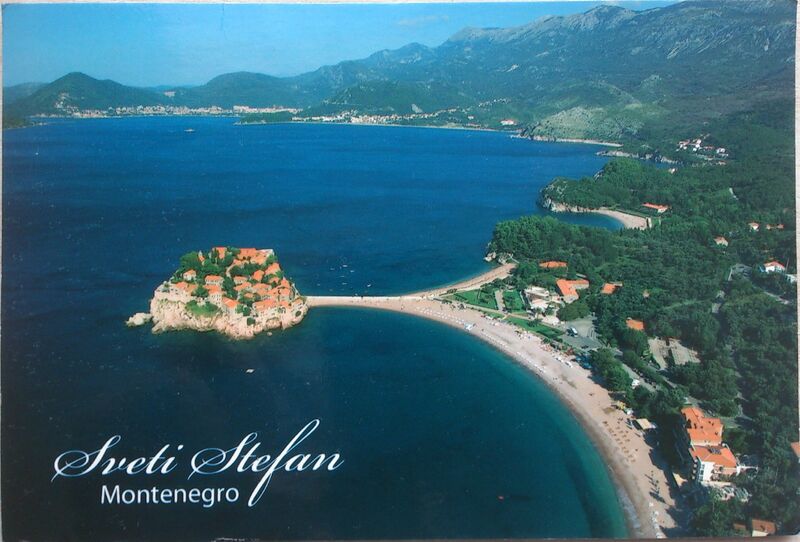 Sveti Stefan is a small islet and hotel resort in Montenegro, approximately 6 kilometres southeast of Budva. The resort includes the islet of Sveti Stefan and part of the mainland, where the Villa Miločer part of the resort is located. An Adriatic playground for the rich and famous from the 1960s to the 1980s, the hotel is now a 5-star franchise hotel of the international group of Aman Resorts, completed in 2009 and operating under a 30 year lease. Formerly an island, Sveti Stefan is now connected to the mainland by a narrow isthmus. The resort in total contains 50 rooms, cottages and suites on the island and 8 grand suites at the Villa Miločer. This entry was posted in Montenegro and tagged Aman Resorts, Budva, Montenegro, Sveti Stefan, Villa Miločer. Bookmark the permalink.